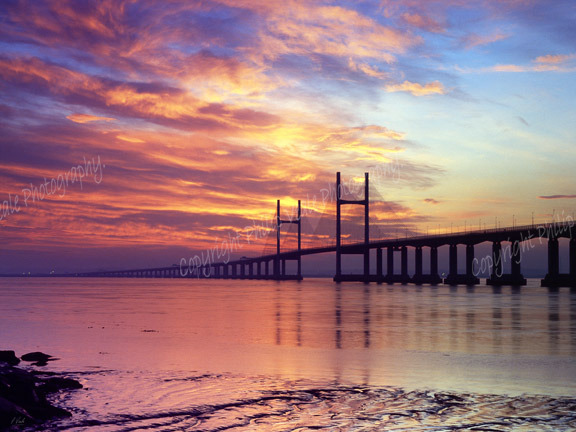 Philip Veale Photography: Sunrise, The Second Severn Crossing. Sunrise, The Second Severn Crossing. A beautiful sunrise over the Second Severn Crossing on a cold winter's morning at around 7.00am.